Senior Lecturer in Industrial design, Director MFA Advanced Product Design Programme. I started my studies in Denmark at the Aarhus School of Architecture in 1993. In 1996, during my first year of industrial design studies, I visited the Umeå Institute of Design as a part of a joint project collaboration between the two schools. Later that autumn I returned to Umeå as an exchange student and continued my design studies here and graduated from the Master programme of Advanced Product Design in 2000. During the first eight years of my employment at the institute I worked in an applied research programme entitled Safe and Efficient Transports (SET), first as a researcher and later as the programme organiser. The programme was sponsored and carried out in close collaboration with the Volvo Group and the objective was to identify and conceptualise solutions based on vehicle operators' needs, problems and wishes in relation to commercial transports. I started tutoring design students at the Advanced Product Design programme in 2004, first during their term projects and later on during the degree project. In 2008 I took over the responsibility as the Director for the Programme and has since 2009 had this responsibility full-time. "Anställningskommittén finner specifikt, vid en bedömning av Degns pedagogiska skicklighet, att han under en lång period innehaft ett flertal pedagogiska ansvarsposter, att han med ständig återkoppling till designvärlden utanför universitetet på ett mycket förtjänstfullt sätt genomfört en omfattande och välreflekterad utveckling av mastersprogrammet Advanced Product Design och att han i sin ansökan redovisar en pedagogisk grundsyn och ett engagemang som styrker att hans arbete med studenter är ytterst genomtänkt och framgångsrikt." 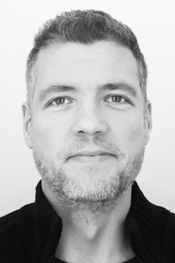 "Besides building a network of cooperation partners, such as working industrial designers and consultants participating in the education as supervisors, teachers and examiners, Thomas Degn has initiated and conducted a large number of cooperating projects with external partners within the programme. He has established contacts worldwide, and also with businesses and organisations in Umeå and the northern region who have little previous experience of working with industrial design, giving them valuable skills and knowledge they can use to develop their products and services." In 2015 I was acknowledged and included in the newly introduced pedagogical qualification system at the Umeå University as a Qualified Teacher.